It’s been said that a good golf swing comes from the ground up. With that said, having a wearing a high-performing golf shoe helps you swing your best. 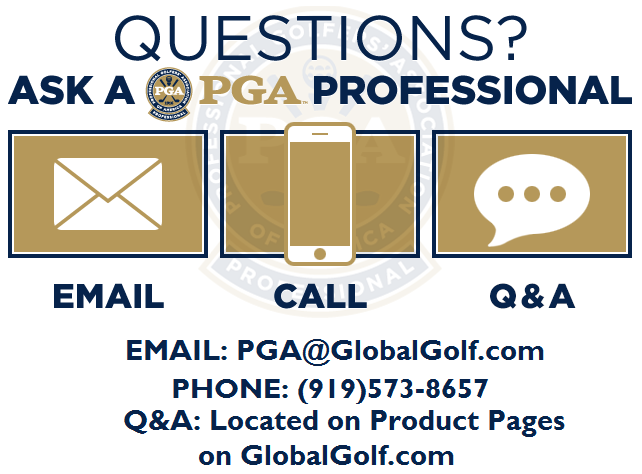 What makes a golf shoe perform? The shoe must be stable, supportive, and comfortable. Taking inspiration from Tour players, the FootJoy Tour S shoe is the culmination of these traits. Our review takes a closer look at the new features that deliver the next-level performance. 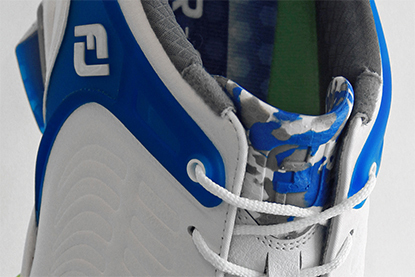 The grey area of the Tour S’s outsole is called the PowerPlate™. The lightweight of the PowerPlate™ comes from using a Pebax® polymer, which is 20% lighter than other polymers commonly used. The sole provides a tremendous amount of stability, keeping your feet firmly planted on the ground. Adding to the sole’s lightweight and stability is a carbon fiber plate in the middle. The carbon fiber reduces the weight and is flexible enough to move with your foot during the swing. 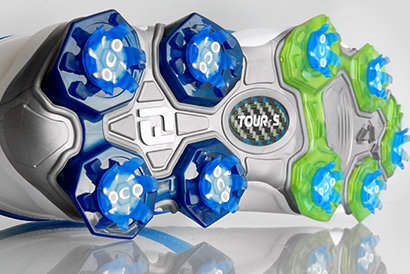 Nine LaunchPods™ are strategically placed around the bottom of the Tour S also keep your feet planted while swinging. Pivix cleats with FastTwist go in the LaunchPods™. The upper of the FootJoy Tour S supports your feet in several ways. The most visible way s FootJoy’s proprietary PowerStrap™. 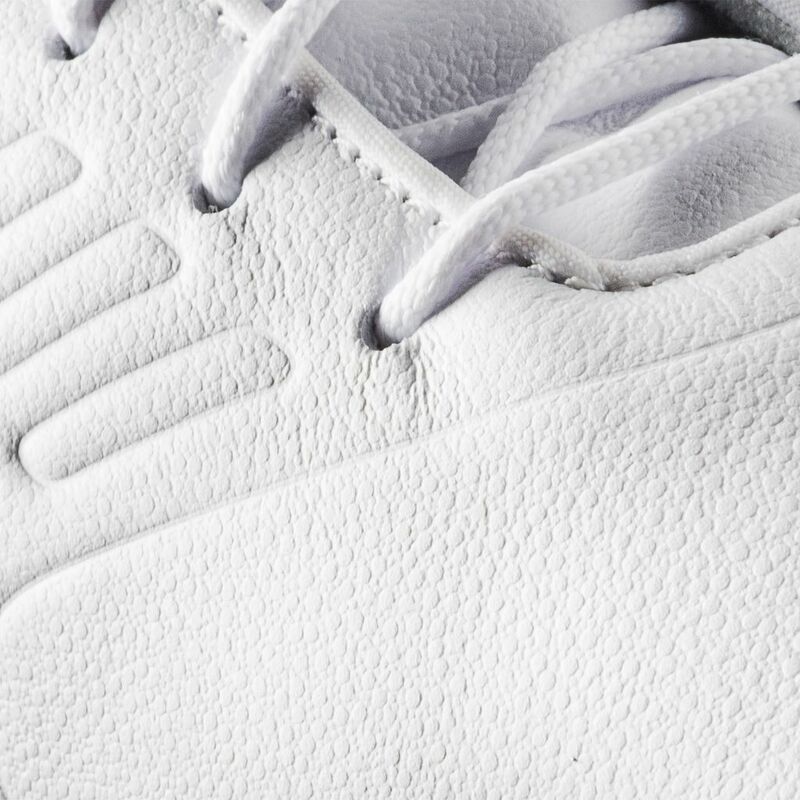 The rubber-feeling piece hugs your foot as you lace the shoe up. The tongue of these shoes has the unique ability to lock your feet in place in a comfortable way. The easy-to-grip ComforTongue™ conforms to the top of your foot as you tie the shoes. The majority of the upper is wrapped in PPL (Pure Performance Luxury) leather by Pittards and is exclusive to FootJoy. The leather is soft and flexible so as not to interfere with your swing. The leather also gives the Tour S a 2-year waterproof guarantee. Inside the FootJoy Tour S is a dual-density PU Fit-Bed® insole. It’s thick in all the right places to support your feet and make it easier to play all day (what golfer doesn’t want that?). 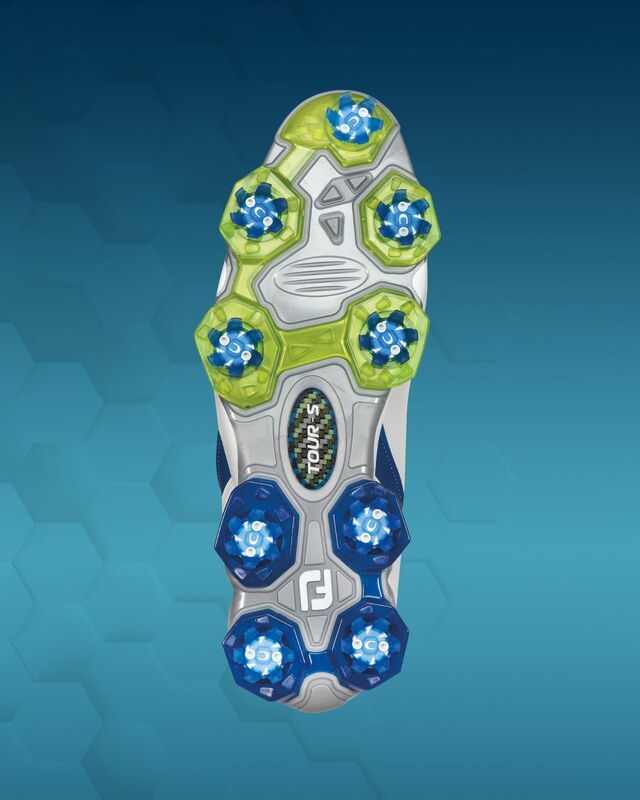 We covered the main features of the FootJoy Tour S shoe that deliver its power, precision, and comfort. Try either the laced or BOA model today to experience it for yourself.